Learnings from Entrepreneurship: Why Students from the Best Colleges Tend to Startup? Why Students from the Best Colleges Tend to Startup? 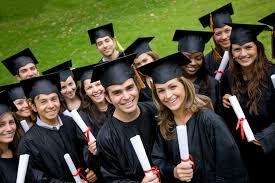 We often read about students of the best colleges starting their ventures. Why is it so? I feel there are multiple reasons for this. Best Students – The best colleges tend to filter out the best students through entrance tests and interviews. These students tend to apply their mind more and are more aware of the latest happenings around the world, thus lading to more entrepreneurs. Better Backup – A degree from a better college has more value and hence tends to give students a better backup even if their ventures fail. Better Resources & Support – Better colleges offer better support and resources to students. Also top companies and entrepreneurs tend to visit such campuses, which further promotes entrepreneurship amongst students. Culture – With the best students having access to the best resources, a culture of entrepreneurship and value creation tends to develop within the campus, which is actually passed down to the new batches which get enrolled. The only downside to a student of such a college starting up is the higher opportunity cost as compared to students from lower ranked colleges.